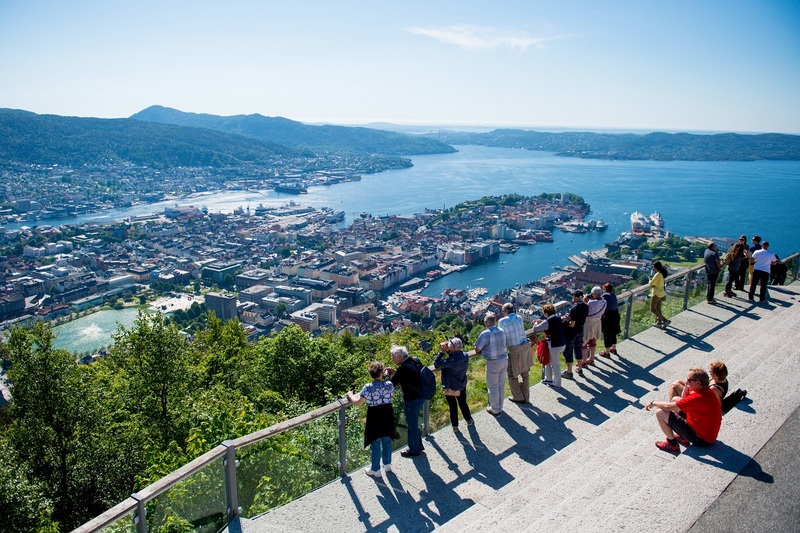 Surrounded by seven mountains, Bergen is ideal for enjoying the beauties of nature. A cable car will take you to the summit of our highest mountain, Mt. Ulriken. Enjoy the views and the peace and quiet while gazing down at the city. Sample the delicacies on offer at the Fish Market, or spend hours among the fish, penguins and seals at Bergen Aquarium. The very first buildings in Bergen were alongside the harbour called Bryggen. Bryggen has been the nerve centre of the city for hundreds of years and the silhouette of its ancient gables is perhaps the most familiar image in all of Norway. In 1360 the Hansas - a German guild of merchants - set up one of their import/export offices on Bryggen and dominated trade for the next 400 years. Many times Bryggen has been devastated by fire, and the Great Fire of 1702 reduced the whole city to ashes. But Bryggen was quickly re-built on top of foundations that had been here since the 11th century. 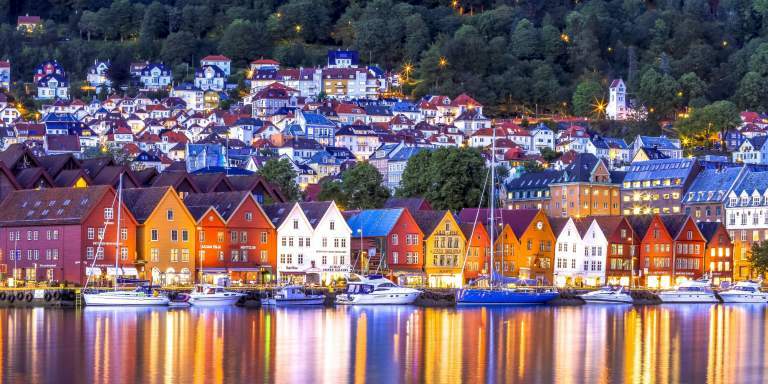 Bryggen is now on UNESCO's World Heritage List and the city of Bergen is a designated World Heritage City. The meander through Bryggen's narrow alleyways made even darker and more mysterious by overhanging balconies, is a step back into a time hardly touched by the passage of centuries. Although 61 og Bryggen's buildings are preserved and protected they are not a museum. Bryggen's spectacular wooden architecture shelter a living community of shops and offices; artists' studios, crafts-people's workshops, and restaurants. Bryggens Museum, in a beautiful modern building, houses the extencive medieval finds excavated nearby, and the Hanseatic Museum is in one of the old Hansa buildings and illustrates the life of a 18th century merchant. Our tour will go along the Bryggen accompanied with our guide. After this walk we will follow the cable car to the top of Ulriken and enjoy the spectacular view of the city. Info: You can sign to this Excursion while you are booking! Or log on to the site to add to your booking. See FAQ how to log in.